Towel warmers used to be installed only in spas and hotels. Now, even you can have a towel warmer in your home. 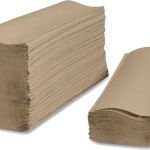 They can reduce moisture and provide adequate amount of heat in your home. Although there are many brands to choose from, you have to choose wisely. Towel warmers come in two types: hardwired and plug-in appliances. Knowing the differences between these two types will help you choose and shop better. 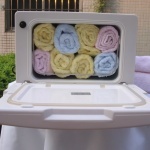 The towel warmer is an appliance that dries towels faster than air drying. 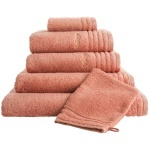 It prevents mildew buildup and ensures that you have a ready warm towel all the time. 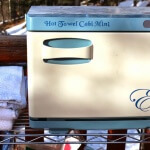 This is a handy appliance to have in cold weather. 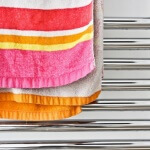 There are towel warmers that are hardwired into the electrical system of your house. 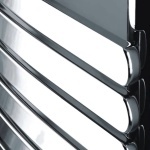 However, you need licensed technician to install the hardwired towel warmer for you. 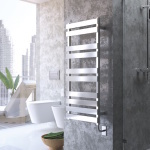 The installation is also a complicated process, so in case the towel warmer malfunctions or needs to be removed, you can’t rely on DIY projects. Hence, you need to allot a budget for the technician’s fee. On the upside, hardwired towel warmers look nice in the bathroom, where it is humid and wet (thus, the plug-in type is not the better option). They reduce tripping accidents as well. You can operate this towel warmer by just switching it on or off. These towel warmers are just like any appliance that you can plug in. You can install them anywhere in your house. This saves you time in installing. You just need power outlets where you can plug in the towel warmer. The disadvantage of plug-in towel warmers is that you have to be extra careful when there’s water, as this can be the cause of electrocution. Installation of the plug-in towel warmer is so easy that you don’ t need a technician to do it for you. However, most towel warmers need a standard 120V plug.Because the plug-in type is not installed in your house’s electrical system, it can be moved whenever necessary. Thus, you don’t need a lot of towel warmers installed in your house. One or two may be enough; just bring them with you. Would you want to save time in installing the towel warmer? The plug-in towel warmer wins in this category. It was made for people who love DIY projects, and those who are always on the go. Thus, the installation of the plug-in type is not complicated. 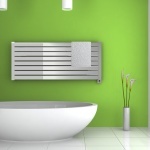 Would you want your towel warmer to be mounted on the wall? 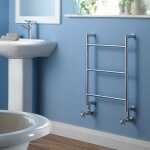 If so, use standard wiring and call an electrician to install the hardwired towel warmer. What are your design aesthetics for your home? Some people don’t appreciate hardwired or wall-mounted electric towel warmers because they “ruin” the décor or the wallpaper. Some say they don’t suit the design of their homes, so they would rather use the plug-in type so it can moved to a corner where it is not too noticeable. 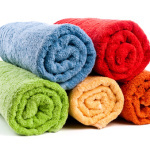 Aside from these factors, you should consider the brand that you’re purchasing and the size of the towel warmer.